Brian C. Darreff has significant litigation experience in a number of fields including warranty, product liability, insurance coverage, bad faith, professional malpractice, employment, personal injury and general litigation. He also assists clients with employment agreements, estate planning and document preparation (including wills and trusts), and probate and estate administration. His clients have included Fortune 100 companies as well as smaller business clients including family run businesses, estates, trusts, and individuals. Mr. Darreff’s product liability litigation experience includes representation of clients in product defect claims involving allegations of design defect, failure to warn, and manufacturing defect claims. He has also represented clients in warranty claims under the Uniform Commercial Code, the Magnuson-Moss Warranty Improvement Act and state consumer protection laws including Consumer Fraud, Unfair Trade Practices and Lemon Law statutes. 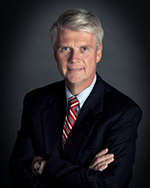 Mr. Darreff has successfully litigated bad faith claims and represented clients in insurance coverage disputes arising under commercial, professional, and individual insurance policies. Mr. Darreff has years of experience defending and prosecuting numerous suits involving negligence, malpractice and professional liability claims. He has represented clients in claims arising from whistle-blowing activities, gender and age discrimination, wrongful termination and adverse action, and personal injury under various Tort Claims Acts. His practice also includes jurisdictional disputes based on internet commerce and advertising by foreign companies in the United States. He has been admitted pro hac vice in other jurisdictions at the request of multiple clients. Mr. Darreff is admitted and actively practices in both New Jersey and Pennsylvania. Mr. Darreff is a lecturer for the Insurance Society of Philadelphia and the South Jersey Claims Association. Mr. Darreff is a member of the Board of Directors and a volunteer for the Dear Santa Society. He is a referee in the Suburban Swim Association. Mr. Darreff has served as the Vice-President of the North East Catholic Alumni Association. He is a trustee of the Greater Ramblewood Association.